These necklace-style wireless earbuds aren’t exactly wireless, but they’re remarkably well designed. You won’t even notice the necklace bit, beyond the fact that you’ll enjoy great battery life and better call quality thanks to the inline mic. They’re also durable and tight-fitting enough to wear during workouts. You can buy them directly from Apple for £110. 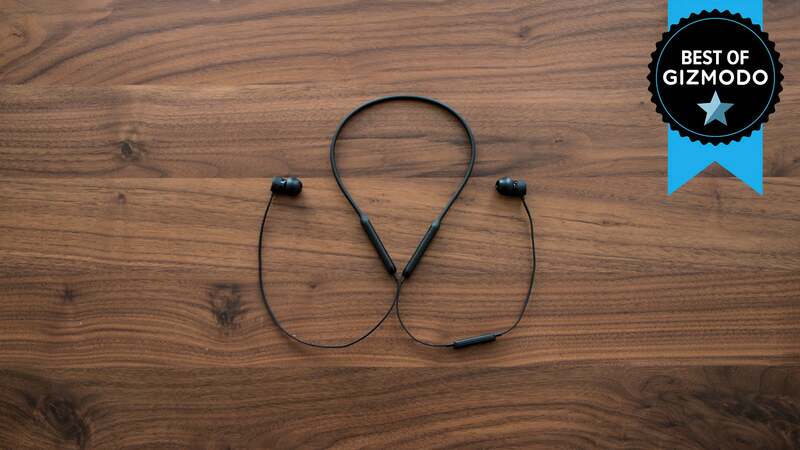 If you’re thinking about getting wireless earbuds that are connected by a wire, your options are virtually limitless. Jaybird makes some great buds that are tailored to runners, and the £90 Tarah model is the best budget option. Jabra offers a similar set called the Sport Coach for £100 and a bulkier model called the Sport Pace for £70. You like the idea of better-sounding and sort of cool-looking headband-style headphones. But you also don’t want to spend a ton of money, and you’re not terribly worried about getting tonnes of features. 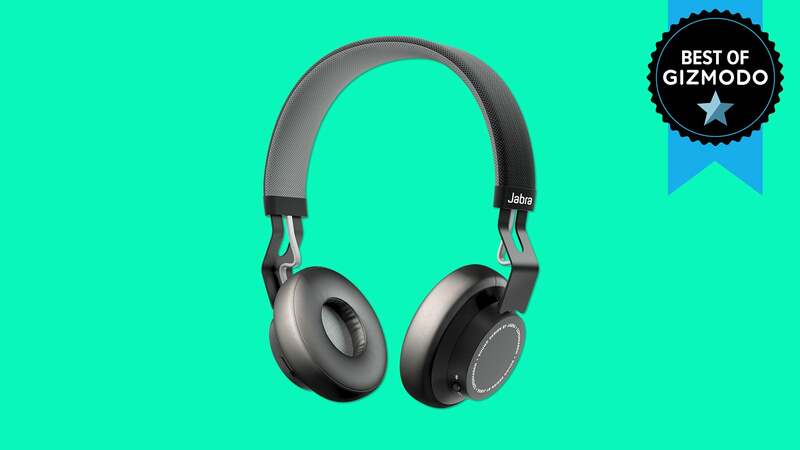 The Jabra Move Wireless are the best cheap way to get into the wireless headphones game. They connect seamlessly with any device. They sound pretty dang good. They’re comfortable and lightweight without feeling flimsy. Other good quality wireless headphones for folks on a budget will cost between £100 and £200. 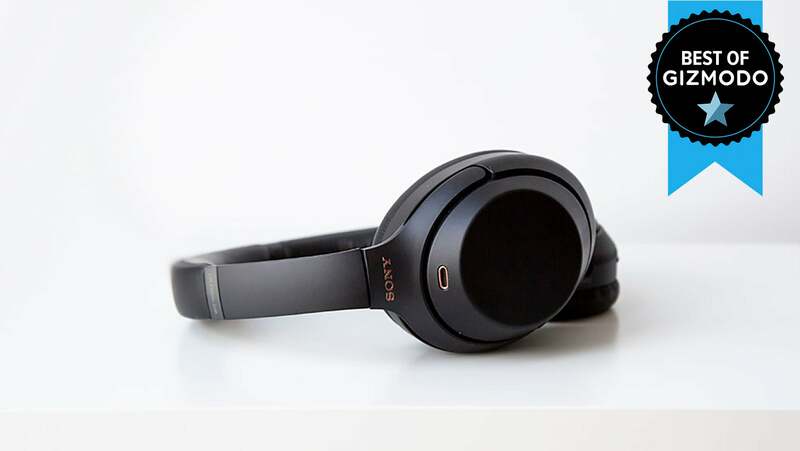 The £150 Sony Extra Bass Wireless headphones are a solid option, even if you’re not a bass lover. (You can turn off the bass boost.) V-Moda’s £168 Crossfade Wireless are extremely durable, dependable, and they sound great too! You spend time on aeroplanes or in coffee shops or on the train or in an open-plan office or literally anywhere that’s too noisy. This is the third generation of some Sony noise-cancelling headphones we’ve loved for years. The latest model is extra comfortable and lightweight. And since you’re looking for noise-cancelling headphones, you’ll be pleased to know that they cancel more noise as well. Great performance doesn’t come cheap. These bad boys retail for £330, but that may be a small price to pay for your sanity. Everybody loves the £330 Bose QuietComfort II for good reason. They’re great—just not as good as the new Sony headphones. Meanwhile, the £330 Bowers & Wilkins PX don’t offer the very best noise-cancelling, but the terrific sound quality will appeal to the audiophile set. They’re also gorgeous. If you’re looking to spend slightly less, check out the £280 JBL Everest Elite 750NC. They’re less gorgeous but work just fine. These earbuds blow everything else out of the water. 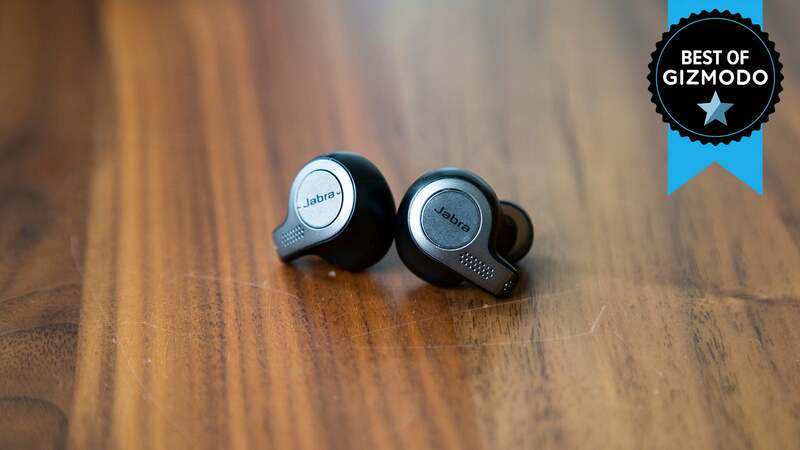 With five hours of battery life, rock solid Bluetooth connectivity, and a decent microphone for making phone calls, the Jabra Elite 65t earbuds tick off all the right boxes. On top of that, the snug fit means you won’t worry about these things flying out of your ears, which is a concern for some other wireless earbuds, namely AirPods. The Jabra Elite 65t’s also on the more affordable end of the spectrum at £150. 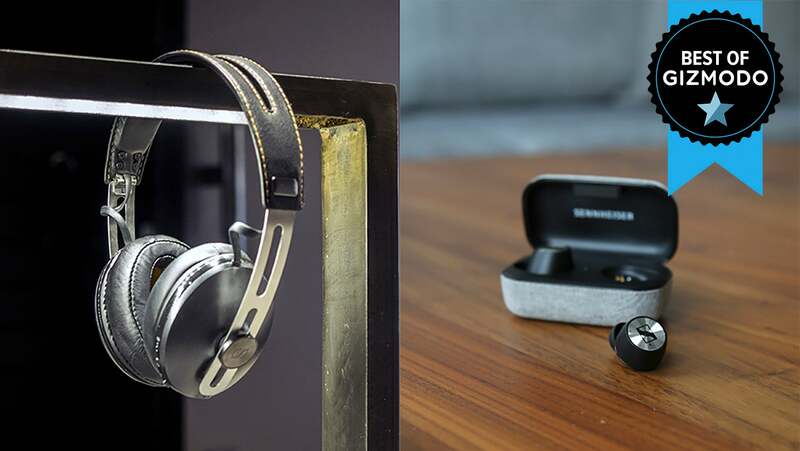 The £280 Sennheiser Momentum True Wireless are the best-sounding earbuds we’ve tried so far. (More on that in a second.) And the £280 Master & Dynamic MW07 earbuds are comparable, although slightly less mind-blowing. If you’re just after decent sound and good connectivity, the £160 Apple AirPods are a popular option, too. This feels a little bit like cheating, but our favourite truly wireless earbuds are a very close sibling to our favourite athletic earbuds. 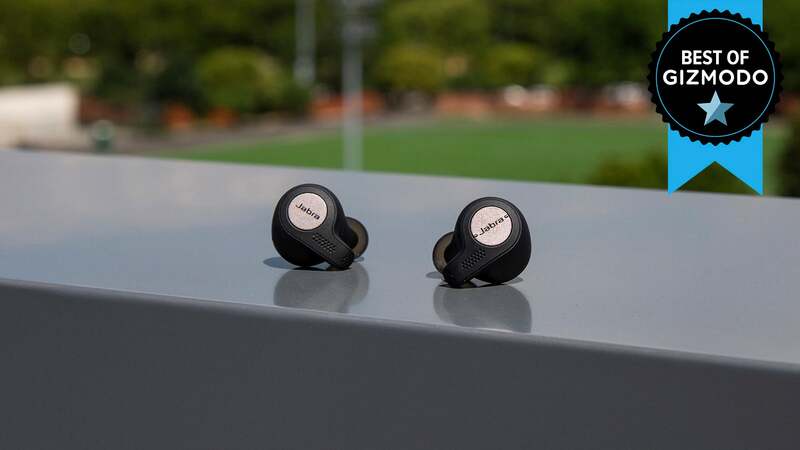 The Jabra Elite Active 65t earbuds are just like the Jabra Elite 65t earbuds, except they have an IP56 rating, which means they’re dustproof and sweat proof. They’re also a little more expensive at £170, but seriously, they’re good. Although you’ll find a lot of sport-focused Bluetooth earbuds with a wire between them, you should strongly consider going truly wireless for your activities. (Nothing worse than getting a wire snagged on a dumbbell.) The Bose SoundSport Free earbuds are remarkably comfortable, and cost £180. Sony’s £180 water-resistant truly wireless earbuds also offer a great fit and good sound quality, though the battery life leaves something to be desired. If you’re looking for pure sound, the £450 Beoplay H9i are also a luxurious treat, especially if you like that Bang & Olufsen signature design. And since we’re feeling speedy, also consider the £450 Master & Dynamic MW60. It’s also safe to say that you don’t need to spend any more than that on a pair of wireless headphones, because remember: you can also just spend £50.